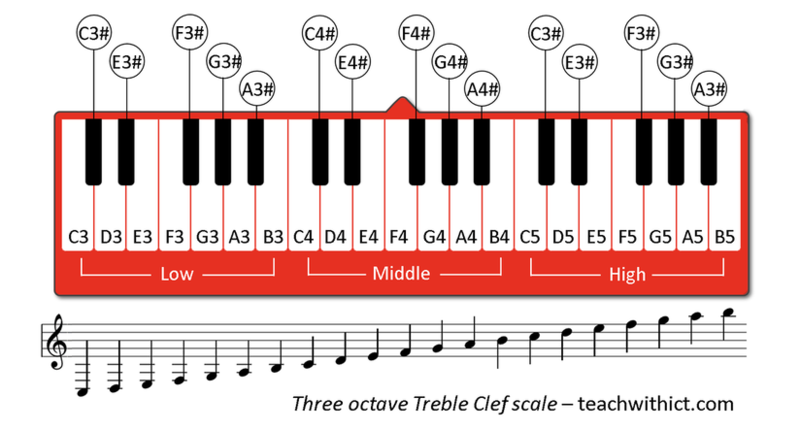 For festive version, click here! 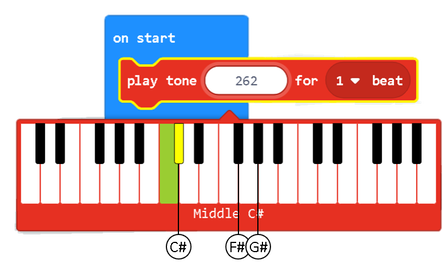 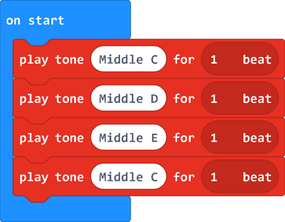 The built-in music library in Make Code allows us to play music on our micro:bit. 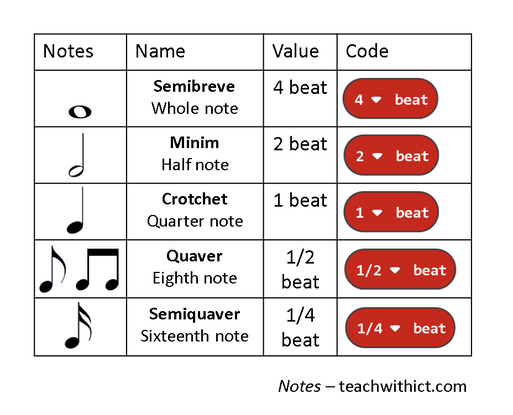 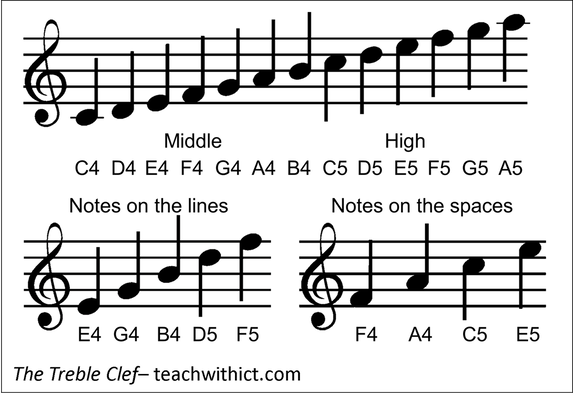 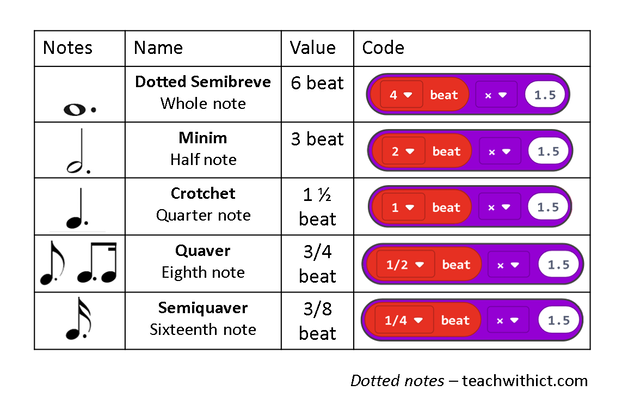 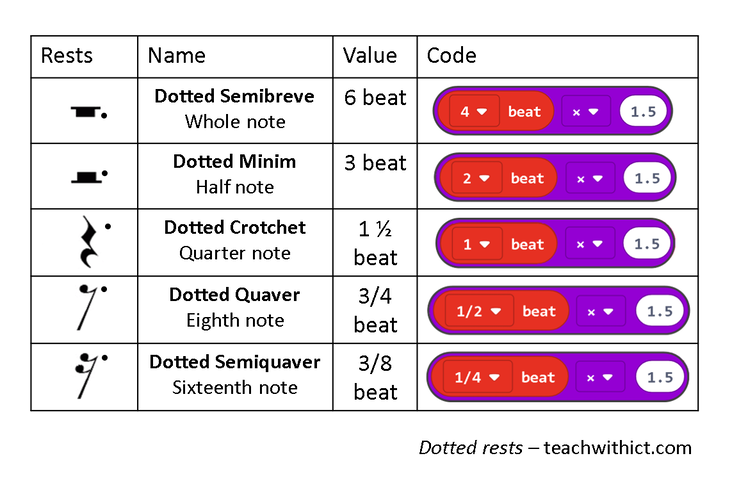 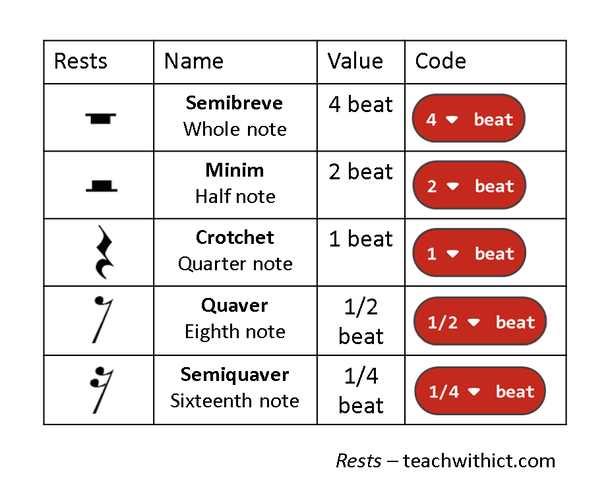 Where Middle C = note and 1 beat = duration.